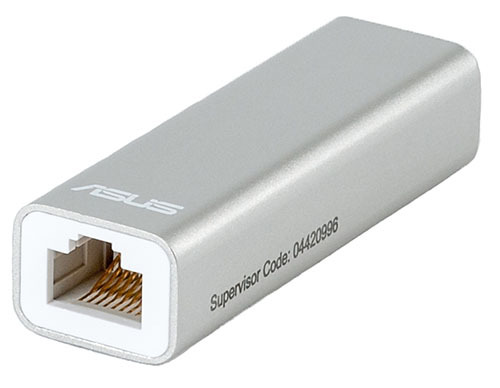 Apart from the full-sized stationary network equipment, ASUS also produces portable router models. More than a year ago we had a publication about one of such portable devices—WL-330N3G. 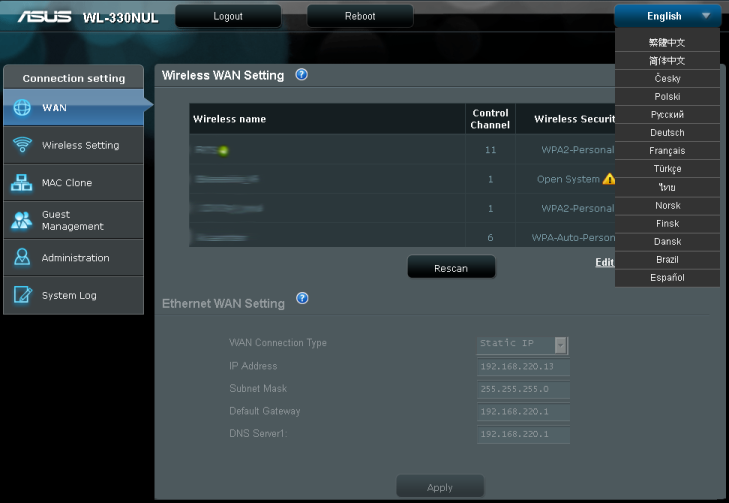 Today our laboratory hosts a new smaller-than-ever router by ASUS, WL-330NUL. However, let's take our time and tell you about everything in parts. 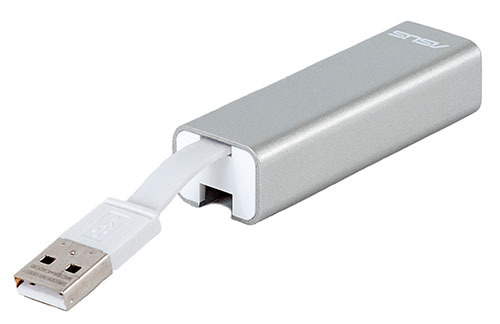 A cross-functional ASUS WL-330NUL device comes in a grey plastic case with dimensions of 65x20x15 mm and due to its shape it looks almost like a USB stick. On one end of the device there is a flexible USB cable used for connection to a PC, notebook, or charger, while on the other end of it there is a socket used to connect a wired Ethernet cable (RJ-45). 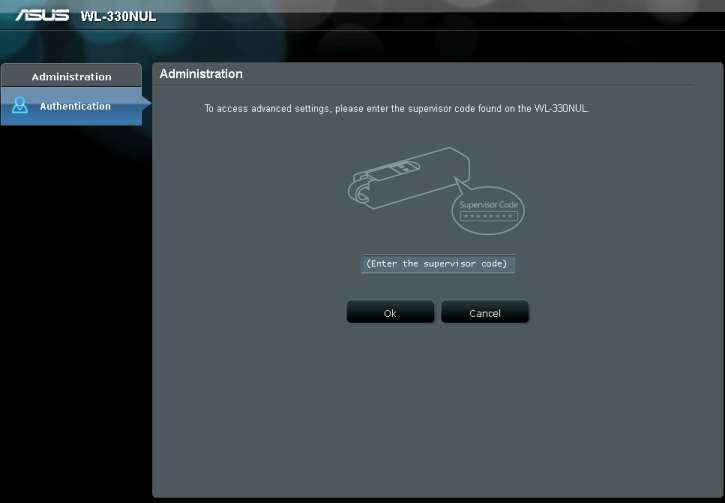 Supervisor Code, which the user will need to specify upon entering the device web-interface, is located on one of the sides of the device. Now let's have a look at its insides. Insides of ASUS WL-330 NUL are one green textolite card; the device is powered by Realtek RTL8196EU and RTL8188ER chips. Winbond W9825G6JB module with the size of 32 Mbytes performs functions of the RAM. Macronix MX25L12845EZNI-10G with the overall memory size of 16 Mbytes acts as the flash memory. Once the drivers from the built-in flash card are successfully installed, the administrator will be able to see a new virtual network adapter in the system which is automatically assigned addresses from 192.168.2.0/24 network. The listing presented below is partly shortened. 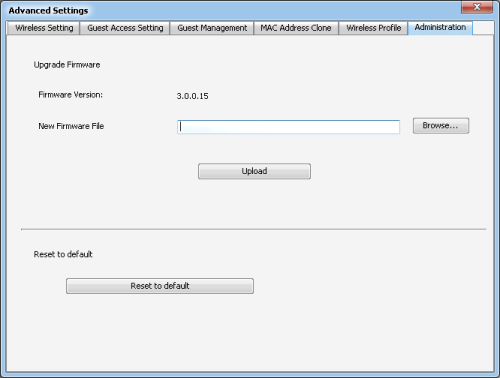 One can manage WL-330NUL using the device web-interface, which can be accessed with any modern browser just by entering 192.168.2.1 IP address. To log in the administrator will need to enter the ID number specified on the device case. 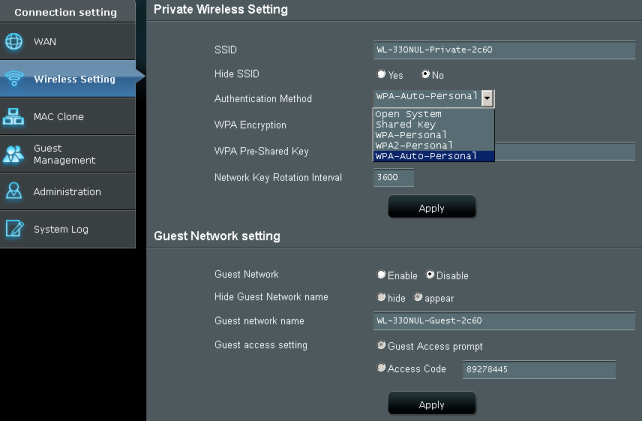 Upon successful authentication the administrator will find him/herself on the home page of the device where s/he can choose a wireless network to get connected to or change the wired WAN-port settings. Selection of a WAN-port type is carried out depending on presence or absence of a physical wired connection. The web-interface is available in 15 languages. 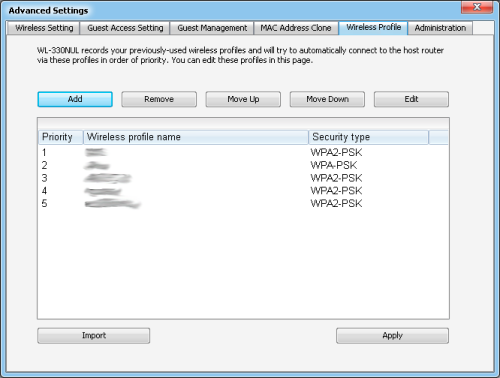 By using Wireless Setting menu item the administrator can manage the main and guest wireless networks. WL-330NUL wireless module can only function in 2.4 GHz frequency range. 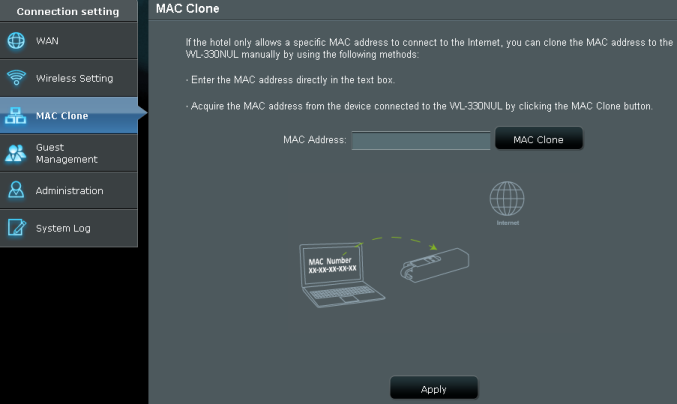 If it's necessary to change the Fast Ethernet port MAC-address, the administrator needs to use MAC Clone menu item. 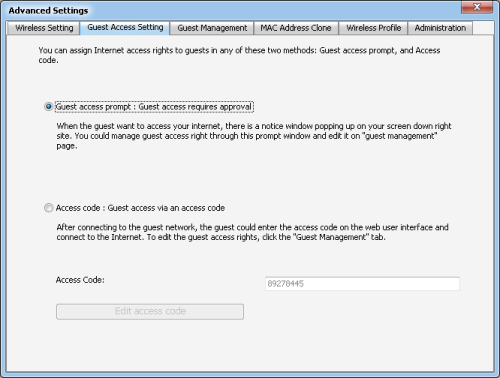 Guest Management menu item allows an administrator to grant certain wireless clients access to the device. 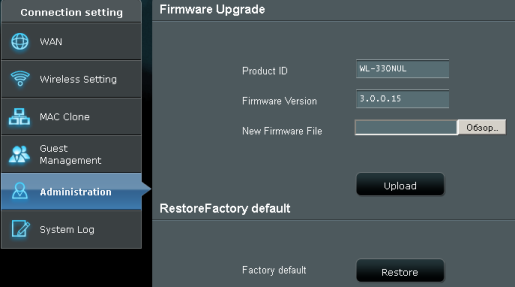 Firmware upgrade and reset of user settings may be carried out using Administration menu item. 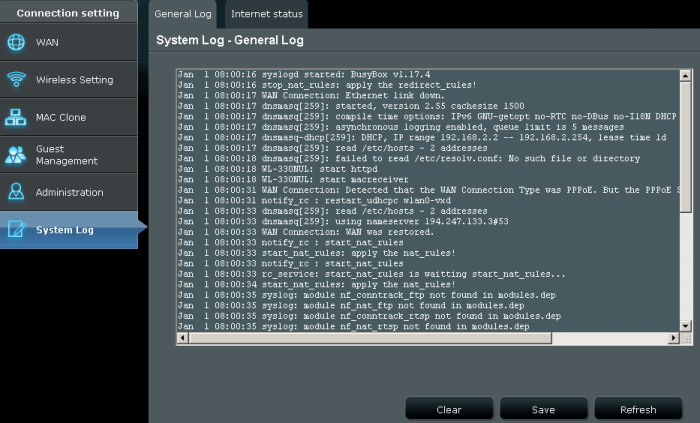 System Log menu item features log information and data on the status of the device WAN-port. That is where we bring the review of the web-interface capabilities to a conclusion and pass on to examining the capabilities of software that comes together in the box. 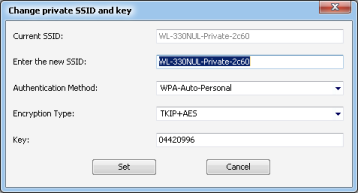 WL-330NUL UltraLink utility, which is used to facilitate connection procedure to wireless networks, is installed together with the drivers. 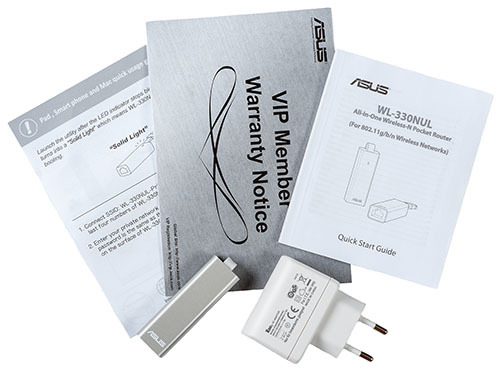 Apart from managing the connection process itself, the utility under review can also help the administrator to change an array of other operation parameters of ASUS WL-330NUL. 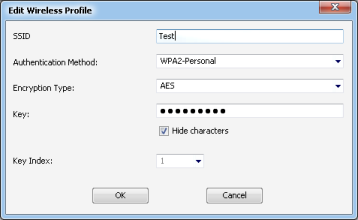 A user can import wireless profiles previously configured in the system to the device upon the first installation. 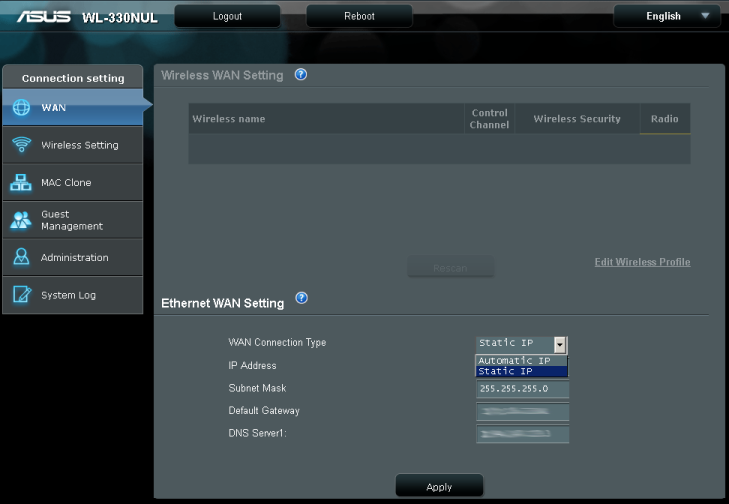 Let's take a look at the advanced settings of UltraLink utility; its menu items are exactly the same as those of the ASUS WL-330NUL web-interface. Now let's skip on to the command line interface. 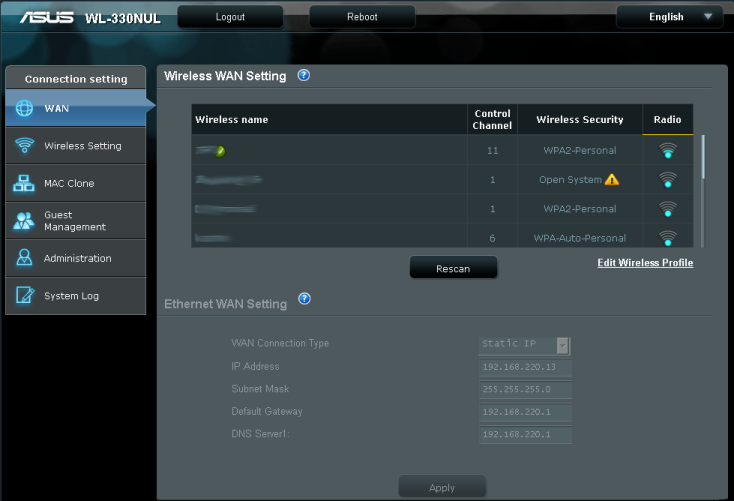 Access to the router through Telnet is prohibited by default. In order to allow this option one needs to use Main_AdmStatus_Content.asp hidden page where s/he needs to execute telnetd command. Actually, the commands can also be executed from the command line, but the thing is that a usual kind of access via telnet is more customary to us. In order to access the router command line an administrator must specify login and password, which are admin/admin by default. BusyBox 1.17.4 library is installed in Linux 2.6.30.9. BusyBox v1.17.4 (2013-01-21 16:14:25 CST) multi-call binary. Now let's turn to /proc catalog to view its contents and find out the system uptime, its average utilisation, information on the CPU installed, and the amount of RAM. 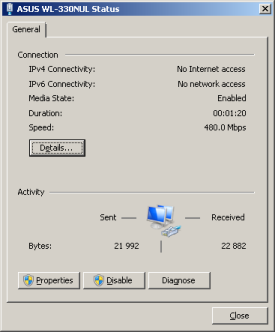 The first testing procedure we usually carry out is estimating the booting time of the device, which is a time interval starting with the moment when the device gets connected to a PC until the first echo reply is received through ICMP protocol. ASUS WL-330NUL boots in 26 seconds. We believe that the result is decent. The next test we performed was a security scanning procedure, which we have carried out from a PC the WL-330NUL was connected to via USB. On the whole, there were five open ports discovered, and they are TCP-53 (DNS), UDP-53 (DNS), TCP-80 (HTTP), TCP-9998 (Blocked), and TCP-18017 (HTTP). The most interesting data of those we obtained are presented below. After that we decided to test the performance of this tiny device. The primary specifications of the test stand we used are presented in the chart below. We began it by testing wired speeds; in order to do that we connected WL-330NUL to the wired network adapter of a notebook. 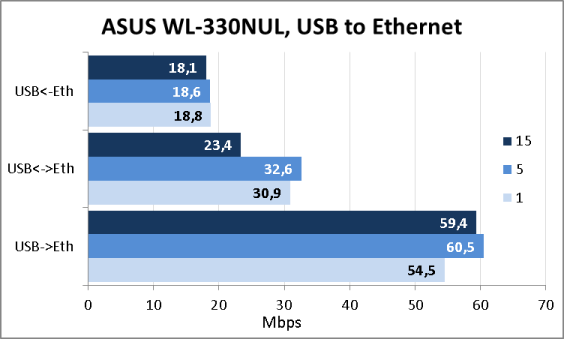 It's worth mentioning that ASUS WL-330NUL is not a network adapter in itself, but a mix of two devices—a router and network adapter. 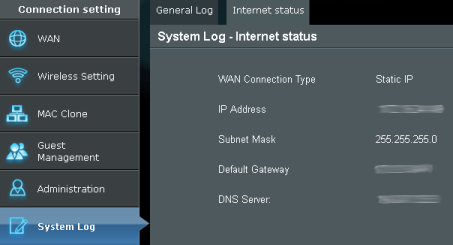 Between the so-called network adapter and LAN-port of the device there is 192.168.2.0/24 network, while one can specify parameters of the WAN-port separately. 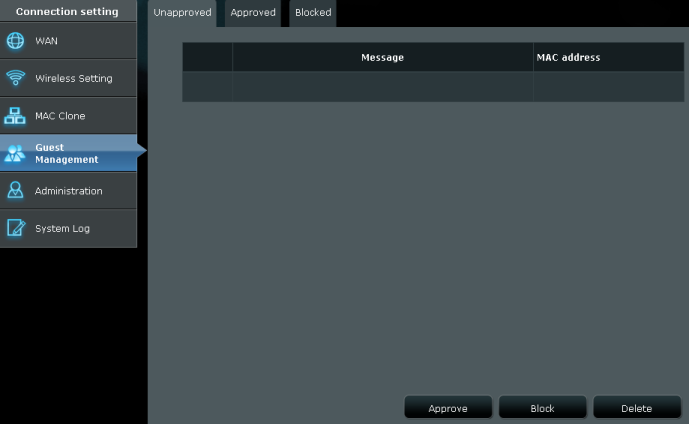 In this operation mode the NAT is not used by the device and the administrator cannot prohibit this or that connection using access lists due to their absence. The transmission speeds we obtained are presented on the diagram. 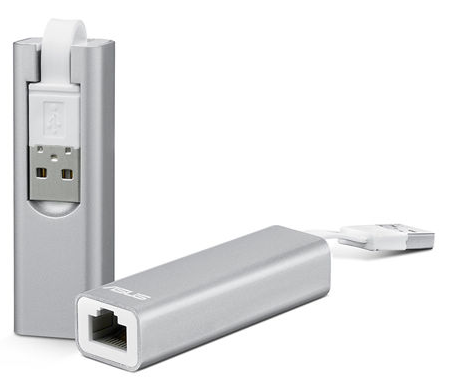 ASUS WL-330NUL can act as a wireless client, allowing connection to the wireless networks in range. 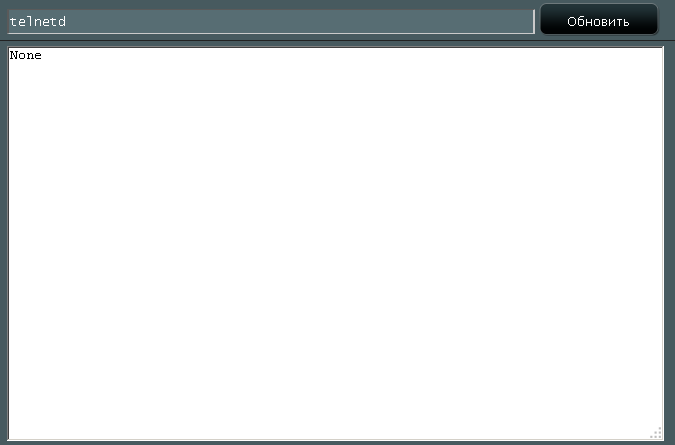 This time the NAT is used, but one can't make virtual servers in the internal network. 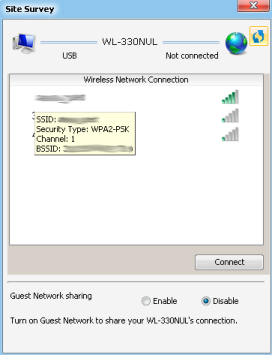 Another device operation mode is that of a wireless router upon which the device uses Fast Ethernet port as a WAN-connection, allowing wireless clients to get connected to it. 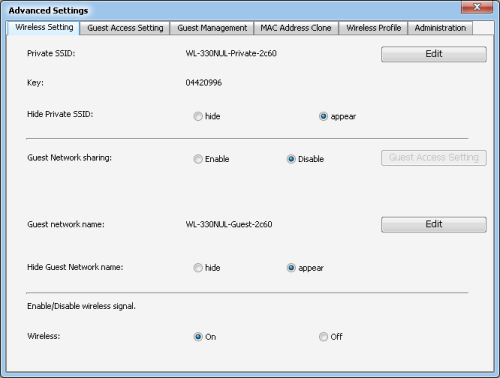 The device under review can also act as an access point, allowing wireless clients to get connected to it and maintaining a connection between these clients and a node to which the WL-330NUL is connected via USB. In comparison with WL-330N3G, this model has not demonstrated any uplift in wireless speeds. However, it's worth noticing that we were testing WL-330NUL with the first version of the factory-supplied firmware, and we believe that users would probably see an increase in speeds using newer firmware versions. 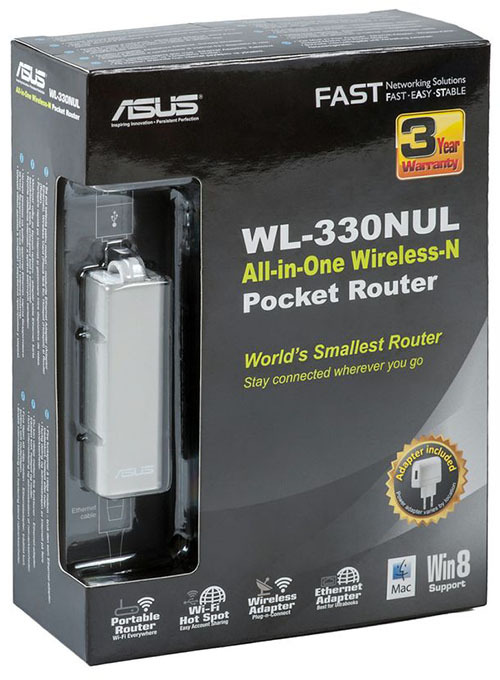 A tiny portable wireless ASUS WL-330NUL router we have tested made a good impression on us. We haven't been waiting for any kind of ultra performance or a wide selection of software capabilities from it, but still the device copes with the tasks it is intended for very well. Also, in comparison with the previous model, a new capability that allows the device to act as a network adapter has been added. 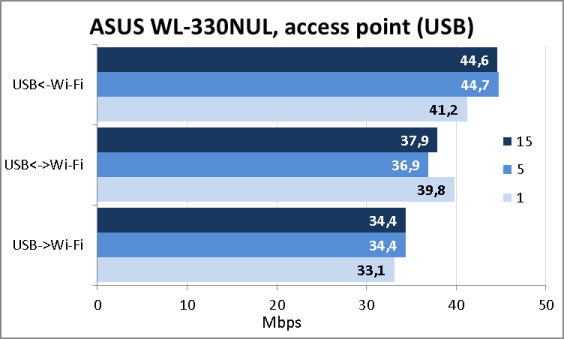 The strength areas of ASUS WL-330NUL are presented below. Unfortunately, we cannot help to mention certain drawbacks. When this article was being written, ASUS WL-330NUL neither was on sale in Russia nor abroad, as well as there was nothing specified about it on the vendor's web-site yet.